Two of the 10 Democratic Unionist MPs whose votes keep Theresa May in power have accused the Irish prime minister, Leo Varadkar, of ramping up tensions on the island over his stance on Brexit. Varadkar’s insistence that Northern Ireland could stay in the single market and the customs union was “unhelpful and obstructive” in terms of the Brexit negotiations, Sir Jeffrey Donaldson told the Guardian. 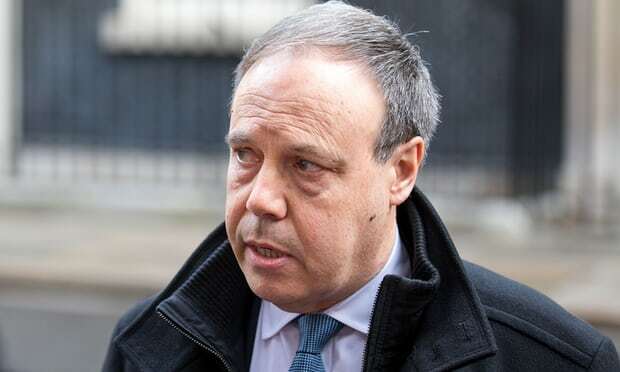 The DUP leader at Westminster, Nigel Dodds, said Varadkar was “upping the ante” and alienating the unionist community over allegedly trying to “decouple” Northern Ireland from the rest of the UK in terms of a Brexit settlement. Dodds, the MP for Belfast North, said: “You have Leo Varadkar’s minister Simon Coveney standing up in the Dáil last week talking about achieving a united Irelandin his lifetime. You have Leo himself warning that either Britain stays in the customs union and the single market, and if not then Northern Ireland should do so alone. Ahead of the DUP’s annual conference in Belfast on Saturday, both Dodds and Donaldson predicted that their party’s support for the minority Conservative government would last its full five-year term. Donaldson said it was “wishful thinking” on the part of Labour to claim the DUP deal to prop up the Tories would fall apart next year. On the stance of the fragile Irish government ahead of the Brexit summit in Brussels on 14 December, Donaldson claimed Varadkar’s government was being dictated to by Sinn Féin on the European question. “The Irish government is being very unhelpful in the way they are trying to insist that Northern Ireland remains in the customs union and the single market. What Leo Varadkar has to realise is that the UK is leaving both and that includes the whole of the UK including Northern Ireland,” Donaldson said. Donaldson said the DUP was opposed to the reimposition of a hard border on the island. The goodwill Varadkar had generated among the unionist community in the run-up to Remembrance Sunday, when the Irish taoiseach wore a poppy during a Dáil debate, had been lost over his stance towards Northern Ireland and Brexit, Donaldson added. But he said it was irrelevant if the Tories ever chose to replace May as leader. “The DUP did a deal with the Conservative party, not with any individual,” he said. The DUP has 10 MPs in the Commons whose votes are crucial in keeping the minority Conservative government in power. Seven of the eight remaining Northern Ireland Westminster seats are held by Sinn Féin, which boycotts the Commons.